At CES 2019, TechnoMark was introduced to Altigo. They are a new on-line brand of mobile accessories. 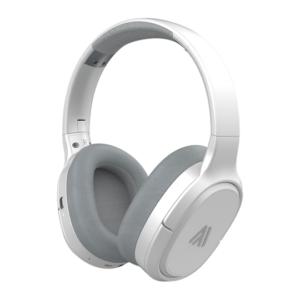 Altigo creates phone cases, bluetooth headphones, mobile chargers and more! He was given a few products to review, so we’ll cover them all in one review. These headphones are a great deal. Quality build and great sound when compared to headphones that are twice as much. They comfortably rest on the head. The oblong, over-the-ear cups swivel, and the headband extends to fit. A very short micro USB charging cable is included, and will give you a charge of up to 30 hours of playback time. They also charge quickly, so if you only have 5 to 10 minutes to charge, you can still get a good two hours of playing time. Also included is a good quality drawstring carrying bag and an aux audio cable in case you need to use them without Bluetooth. A mere $69.99 will purchase these noise-cancelling headphones in white or black. We’ve seen these kind of “wireless” earbuds before. 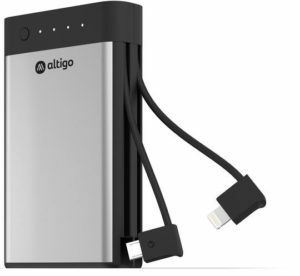 The Altigo ones boast a battery life of 8 hours. They are sweat proof with an IPX rating of 4. A built in mic with volume control buttons are on one side. One thing I noticed on these that I haven’t seen on others we’ve reviewed is a counter weight on the other side to make it more balanced. Smart thinking, Altigo. There is a braided cord to prevent sliding across your neck, and magnetic earbuds will hold them together when not in use. The magnets are weaker than others I’ve seen, but still work okay. The sound is great for the price. I wouldn’t say they completely blocked ambient noise, but they do a decent job. 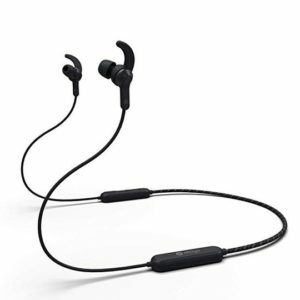 Also included with the product itself is a small micro USB cable, four different sizes of earbuds for a comfortable fit, removable wing tips, and a rubberized carrying squeeze pouch. This product comes in colors of black, red, blue, yellow and white- available on Amazon.com for $29.99. 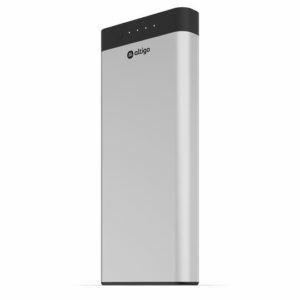 Portable chargers are items that we do a lot of reviews of. Here’s another one. This one includes a built-in lightning cable and micro-USB cable. There are indicators at the top that tell you how much life is left in this portable charger that holds up to 2.5 iPhone charges or 1 small tablet. You can charge two devices at once if you have an Apple product and another one that uses the micro USB adapter. Two heat sensors will prevent the battery from overheating. $38.99 is the price of this item on Amazon.com. You can also get one for the same price compatible with USB-C devices. If you need more power, this is the same deal without the built in cables. This one has three high-speed 2.4A USB charging ports. The other ports are a fast-charging 3A USB-C input port or the 1.8A micro-USB port. This pack will give you about 6.5 times charging for an iPhone. It doesn’t look very heavy, but it kind of is. It weighs 1.4 pounds. For $69.99 on Amazon, this product can be yours. By the way, the USB charging cords for both of these are hidden very well in their boxes. I almost thought there weren’t cords, and a review on Amazon.com said it was missing, but I did find it. Make sure you pull out the tab in the box all the way. Thanks to Altigo for the opportunity to review these products. No compensation was given for our fair and unbiased review.